Indonesia is a highly promising, growing economy, offering a big marketplace for industries across the world. According to Euromonitor International, Indonesia has the largest chunk of middle-class households — constituting 30 percent of all households representing different socioeconomic brackets in 2018 — amongst other ASEAN countries, offering a consumer segment with disposable income for various products and services. Euromonitor International is a global business intelligence and strategic market analysis provider, possessing more than 40 years of experience in publishing international market reports, business reference books and online databases on consumer markets. The firm also predicts that big cities on Indonesia’s Sumatra island — specifically Medan in North Sumatra, Bandar Lampung in Lampung as well as Padang in West Sumatra — will have the highest penetration of middle class households by 2030. “The three Sumatran cities mentioned above, meanwhile, will be Indonesia’s top three big cities, with almost 50 percent of its population enjoying annual incomes between US$10,000 to $25,000. This fact offers a sizable market potential for companies to tap into Indonesia,” Euromonitor International Indonesia research manager Adhitya Nugroho said. These facts make analyzing different aspects of Indonesia’s economy highly interesting. Keeping this in mind, global market research company Euromonitor International is ready to host its first conference in Indonesia, seeking to provide business insight to Indonesian companies, on Sept. 25 in Pullman Jakarta Central Park, West Jakarta, all the while celebrating its 20th operational anniversary in Southeast Asia. To mark the 20th anniversary of its Southeast Asia operations, the firm seeks to share market insights to maximize business opportunities in the region’s trendsetting countries. The upcoming Jakarta seminar will be part of this mission. The upcoming conference will be dedicated to top-level managers from companies representing various industrial sectors: fast-moving consumer goods, banking and trade, along with governmental organizations as well as trade associations. It will discuss economic trends and opportunities in Indonesia and the wider ASEAN region, specifically how connectivity brought by the internet has rewired people’s lifestyles. 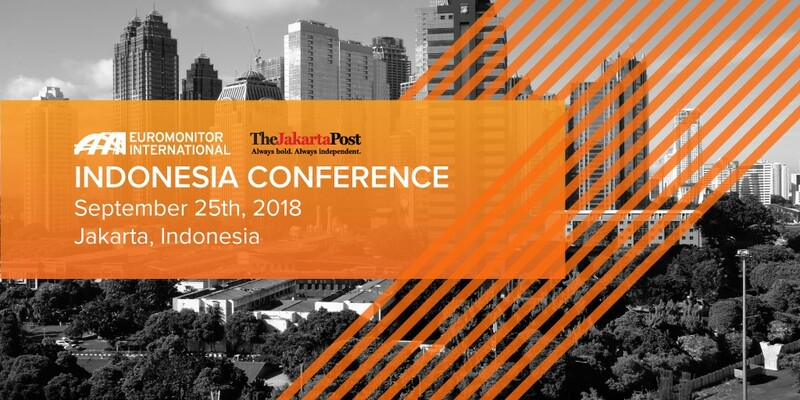 The conference helps participants learn the latest trends in the Indonesian business landscape, as well as how they can tap into market insights to maximize business opportunities in the trendsetting country. The first topic that the conference will cover is trends and opportunities in Indonesia and ASEAN in general. The economies of ASEAN and Indonesia are still expected to continue growing healthily. The country’s middle-income household size and consumers’ expenditure are also still projected to grow. How will Indonesian consumers’ spending patterns evolve in the future? The panel, presented by Adhitya, seeks to address that key question. For instance, travel is set to be one of the fastest growing industries in Indonesia, increasing by 49.2 percent by 2023. The promising growth of the travel industry is, and will be, spurred mainly by the millennial as well as the Z generations — comprising individuals born from 1989 to 1995 and 1996 to 2012, respectively — thanks to their high exposure to internet connectivity. Their access to digital gadgets allows them to have greater desire to spend more money in traveling to different places to enjoy a diversity of life experiences, spurring unprecedented growth in Indonesia’s travel industry. The penetration of smartphones among Indonesian people — constituting 142 percent of households in 2017 — also supports the young generation in their activities planning their holidays. The second panel, presented by Euromonitor International Indonesia consulting team leader Dhea Sutanto, senior regional business manager Felicia Gunawan and senior account manager Nadia Jean, meanwhile, will explore megatrends in Indonesia as well as the Asia-Pacific region. In a rapidly changing global environment, megatrend analysis is critical for companies seeking to drive sustainable growth and remain relevant amid ever-increasing competition and the emergence of new ideas disrupting how industries work. The key question to be addressed by the panel would be: How have three variables — consumer inter-connection, product upgrade and enhanced experience — influenced the local and regional economic landscape? 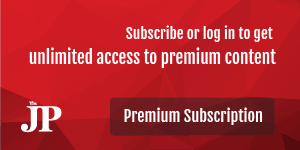 To get a sample of Euromonitor International’s analysis on the trends and opportunities in Indonesia and the wider ASEAN region, visit https://bit.ly/2M6tW9S.